Winter is coming, the air is getting chillier, being outside isn’t quite as much fun, and the days are getting shorter. Time to think about a warm, snuggly winter wardrobe, and about booking in some night classes to keep your evenings bright and fun. So come join me for a sewing class this autumn, learn some new skills, make some new stuff! 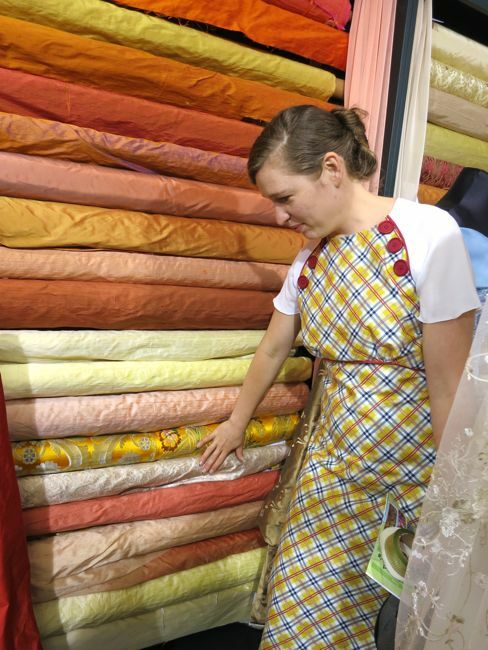 At the moment we’re running a special offer: Spend $50 or more in one go at Made on Marion before the end of March (both Marion St and Lambton Quay shops) and get 20% off the class fee for the April Know Your Fabrics class. It’s the perfect excuse to stock up on thread and bias tape and wool, or treat yourself to that french curve and better scissors and adorable sewing tin you’ve been hankering after, and expand your fabric knowledge in a way that will vastly improve your sewing, and save you money. (plus, if there is too much demand for the April class, I’ll even offer it again in May for those who spent more than $50 in March). 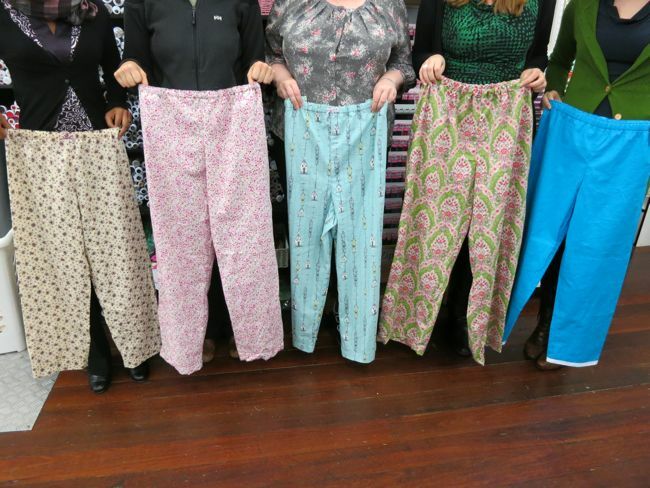 If you are just starting as a sewer, there are monthly Absolute Beginners Sewing Sessions. I’ve got a few spaces left in April and May, and still plenty of room in June. I do recommend booking early, as these always fill up! If you are a bit more advanced then Absolute Beginners, and know what you want to make, then join me for Pick Your Own Project in April or June: the class where I help you work through whatever pattern you are working on at your own pace. To give the class a bit of cohesion, each PYOP class has a rough ‘theme’. April’s Pick Your Own Project class is focusing on slightly more advanced knits, for those who have taken Intro to Knits and want to branch out into other knit patterns, and simple patterns for those who have recently taken Absolute Beginners, or haven’t sewn in a while and are feeling a bit rusty and want to ease back into sewing with some assistance. April’s class runs Thursday evenings 10, 17, 24 April & 1 May, 6-8.30. I haven’t picked a ‘theme’ yet for June’s Pick Your Own Project, so if you have something you want to make in mind, contact me and we may be able to pick a theme that work perfectly to include it. June’s class runs Friday evenings 13, 20, 27 June & 4 July, 6-8.30. For students wanting more of a challenge then that, join me in April for the super popular Intro to Corsetmaking: the Underbust Corset, where you’ll learn a whole new set of skills as you make a gorgeous perfectly fitted underbust corset. Intro to Corsetmaking runs Tuesday evenings 1, 8, 15, 22 April 6-8.30. In May I’m doing another round of one of my most popular classes: Intro to Knits: the Simple T. Sewing with knit fabric is a different skill to woven fabrics, but it’s really easy to master, and this class will teach you how to make tees that look better than the ones you buy in the shops. 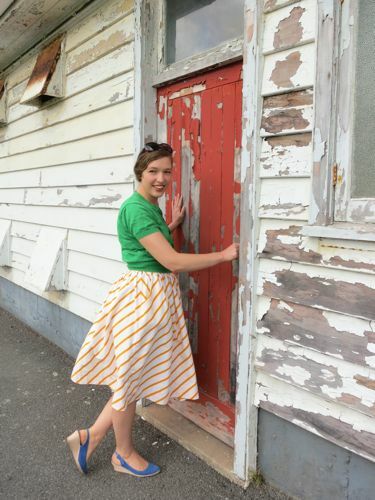 By popular demand I’m offering the ’50s Inspired Wiggle Dress class again in May. I ran it last spring, and it was a great success, and I’ve had so many requests to run it again. This is the perfect time of year to make a classic fitted dress with a slim skirt and a waist seam in a lovely dress weight wool: you’ll be able to wear it to any event, all winter long. The five session class runs Wednesdays 14, 21, 28 May, 11, 18 June 6-8:30pm (with a break the first Wed in June). Finally, in June I’m offering the Perfect Fit Pencil Skirt class. It’s a great introduction to pattern drafting, and to thinking about your own shape and getting a custom fit. The four session class runs Tuesday evenings 10, 17, 24 June, 1 July 6-8.30 pm. The Dreamstress, aka Leimomi Oakes, is a textile historian and historical seamstress with a strong background in teaching. Courses are rated on difficulty on a scale of 1 to 10 – The ratings are just a guideline to give you an idea of how hard the course will be: don’t pick something too far above your level, but be sure to challenge yourself! 1: is an absolute beginners course, for someone who has never been on a sewing machine before. 2: you’ve made cushions or something similar, and know how to set zips and make buttonholes. 3: you can follow a simple sewing pattern. 4: you’ve moved up to more complicated patterns with linings. 5: you’re ready to start making adaptions to your patterns to suit your taste and to fit you better. 9: you’re making your own patterns, and working with couture techniques. 10: is for someone with experience in pattern making, couture sewing, and advanced fitting. I would love to get more information about your classes. Do you have vacancies in the introduction to knits – basic tee classes? All the current classes are completely booked out, but the class will be offered again in late June. Book early though, as they do book out!